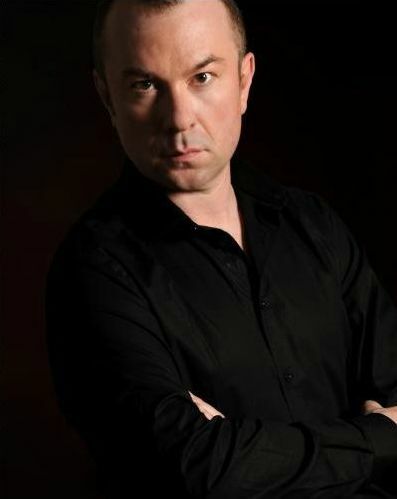 Olivier Vernet’s outstanding career has confirmed the hopes raised by the numerous awards he received over the course of his studies with Gaston Litaize at the Conservatoire National de Région in Saint-Maur-des-Fossés, Marie-Claire Alain at the Conservatoire National de Région in Rueil Malmaison, and Michel Chapuis in the class where he won first prize for organ at the Conservatoire National Supérieur de Musique de Paris. After unanimously being given the First Prize with honours at the international competition arranged by the U.F.A.M. in Paris in 1984, he won First Prize in 1991 at the International Organ Competition in Bordeaux. He has also received awards from the foundations of Aram Khachaturian, Marcel Bleustein-Blanchet pour la Vocation, Marcelle and Robert de Lacour, and the Yehudi Menuhin Foundation. Renowned as one of the most brilliant representatives of the French school of organ music, he is enjoying an international career and being invited to perform at the most prestigious festivals. In Nantes in January, 2000, he gave several recitals for “La Folle Journée Bach.” In February, 2010, he inaugurated the French-Russian cultural year at Saint Petersburg’s Mariinsky Theatre (formerly the Kirov). To date, Olivier Vernet has recorded 100 CDs, including the complete works of Bach, Bruhns, Buxtehude, Clérambault, Couperin, De Grigny, Hanff, Kneller, Mozart, Mendelssohn, Gade, Schumann and Liszt, as well as the complete concertos for organ and orchestra by C.P.E. Bach, J.C. Bach, Corrette and Haydn; and a world premier organ recording of the 2, 3 and 4 keyboard concertos by Bach, where he is joined by Marie-Claire Alain. Many of these CDs have received distinguished awards including: the Diapason d’Or; the Choc du Monde de la Musique; and ffff from Télérama. Other awards include several 10 de Répertoire, Joker from Crescendo, and Recommandé by Classica. Four of the most sought-after honors have been bestowed on Mr. Vernet by the French language musical press: Le Grand Prix de la Nouvelle Académie du Disque for the complete works of Buxtehude, the Grand Prix de l’Académie Charles Cros, the Grand Prix de l’Académie des Beaux-Arts, and the 2000 Diapason d’Or for his complete works of Bach. Olivier Vernet is the titular organist of the Cathedral of Monaco. As such, he played at the grand organ for the princely wedding in 2011. He teaches at the Académie de Musique Prince Rainier III in Monaco and at the Conservatoire National à Rayonnement Régional de Musique in Nice. He is the Artistic Director for the Monaco International Organ Festival and the Mougins Organ Festival. Olivier Vernet is Chevalier de l’Ordre des Arts et des Lettres.